If you’ve never had a stroopwafel, (pronounced, fresh, chewy and yummy), you’re in for a treat: a delicious, chewy, syrup-wafered cookie that’s about to be your new best friend. The best place to get them? That’s easy. Right here! If you have a minute, try the traditional approach and warm up your stroopwafel on top of your hot beverage cup. 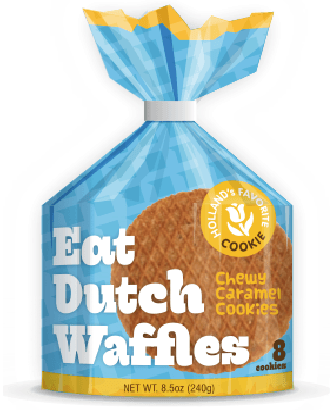 If you’re on the go, slip your Dutch Waffle in the microwave for eight seconds or eat it right out of the package. It’s the perfect snack for soccer kids, soccer moms, hikers, bikers, commuters, professional snackers or anyone ready for a little sweetness. 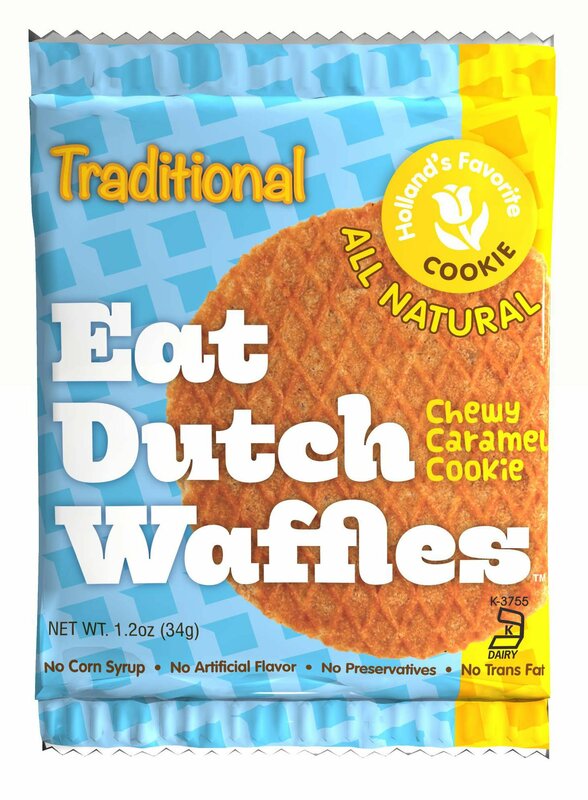 EatDutchWaffles is your source for stroopwafels because of our connections to the best bakeries in the world. We ship them fresh to you directly or to your favorite retail outlet. Order a batch right now and see why Holland’s favorite snack is now getting famous in America.